Call us today for glaucoma treatment! Have you noticed that you are not able to see signs from far away anymore? Are you straining your eyes during reading trying to make out the letters? If you're suffering from any type of eye strain or eye infections, you should see an eye doctor right away. 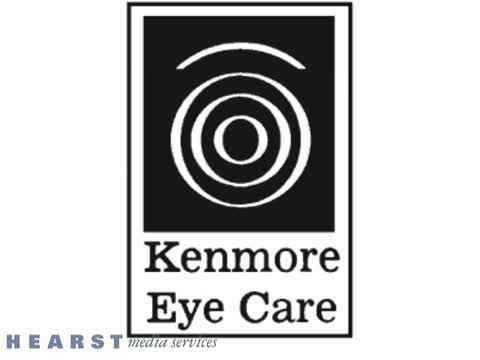 If you are in the Buffalo, NY area, there is one eye examinations clinic that is top notch, and that's Kenmore Eye Care. We provide professional primary eye care at a personal level for families. We offer a comprehensive range of services that extends from vision testing, eye examinations, and dispensing of glasses and contact lenses to the diagnosis and treatment of eye disorders and diseases, such as cataracts, glaucoma, and astigmatism. Our experienced professionals are committed to providing the best quality eye care, resulting in your good vision. Our two locations also feature an extensive selection of quality fashion eyewear that is unmatched in the Western New York area. Fashion Eyewear For The Buffalo, NY Area! When you are in the Buffalo, NY area looking for fashion eyewear, rely on Kenmore Eye Care. Our fashion eyewear not only looks trendy and stylish, but it helps give you great sight. Our fashion eyewear can top off an outfit and have you looking great while you see better! Call us today if you are in the area and are interested in our fashion eyewear! Ask us how you can improve your sports vision. We are staffed with highly experienced professionals who provide patients with the very best eye care and sports vision in a comfortable and friendly environment. Our commitment to ongoing professional training for all of our staff enables us to provide the highest level of eye care and treatment in the Buffalo, NY area. Providing you with excellent sports vision while keeping your eyes protected is our top concern when you come in to improve your sports vision. If you want the best sports vision, let us examine your eye sight and find a solution for you. We also provide our staff with the latest and best diagnostic and treatment instrumentation so you know you are getting top results. Call us today if you are in the Buffalo, NY area and need to improve your sports vision! We are one of the leading eye care centers in the Buffalo, NY area. From regular eye tests to eye disease diagnosis and treatment, we can do it all. We use advanced technology to diagnose various eye issues. We also specialize in sports vision as we aim to help athletes improve their vision and protect their eyes. If you are interested in learning more about our sports vision or other eye care services, schedule a consultation with us. Kenmore Eye Care provides eye examinations that are specially designed to detect a wide range of problems affecting your vision, such as blurred vision or eye discomfort. Our trained staff also provides glaucoma treatment and testing. Severe vision loss can occur if glaucoma is not treated early on. At Kenmore Eye Care, we provide glaucoma treatment to the Buffalo, NY and nearby areas. If you think you may need glaucoma treatment, don't hesitate to call our eye care specialist. Rely on us when you need glaucoma treatment. Glaucoma is caused by the drainage passage inside the eye being mechanically blocked or not functioning correctly. This pressure, without proper and timely glaucoma treatment, can damage the optic nerve over time and cause a loss of peripheral vision and eventually central vision. The appropriate glaucoma treatment can depends upon various factors. Early detection is vital to diagnose glaucoma as well as stopping the progress of the disease. For an eye examination in the Buffalo, NY area, visit us today. We also perform evaluations for eye infections and health disorders. We use computerized examination instruments to supplement, rather than replace, personalized eye care. There is no reason you should suffer from eye infections and irritations. We are flexible with eye examinations appointments and will try to fit you in as soon as possible. Call us today if you have an eye infection or need to come in for eye infection testing. We are the go-to eye doctor when you have an eye infection. A dilated pupil examination allows us to provide the best assessment of eye health. We recommend this examination for all patients during their first visit, with regularly scheduled exams thereafter. A simple eye exam can keep your vision sharp and even provide early diagnosis for more serious health problems. Schedule an appointment today. After your eye examination is finished, we will evaluate your eyes and determine what type of lens will best suit your needs. We have a wide selection of both contact lenses and fashion eyewear to provide you with the look you want at a price that you can afford. We even have options to help you with your sports vision needs. Call us today for sports vision evaluations. Contact Lenses For The Buffalo, NY Area! Many patients enjoy using contact lenses. We offer contact lenses that completely change the color of your eye, and even special contacts for specific eye problems. There are a variety of contact lenses that you may need, depending on your diagnosis. Call us today if you are in the Buffalo, NY area looking for great contact lenses today! We also accept a growing number of preferred provider organizations (PPOs) and Vision Plans, as well as Visa, MasterCard, and Discover. We'll help you with the insurance paperwork, and can answer any questions about your insurance coverage and treatment costs. The next time you are having problems with your vision or are concerned about eye infections, you should make an appointment with Kenmore Eye Care. Our eye examinations are thorough and dedicated to getting you on the right track to improved vision. We serve the Buffalo, NY area. Comprehensive eye health exam, glaucoma diagnosis & treatment. Testing for cataracts, contact lenses, sports vision, vision therapy, treatment: management of eye diseases, fashion eyewear, progressive lenses, transition lenses. Eye frames, eye glass frames of all brands, anti reflection coating, progressive lenses, Hi-index, transitions, and photo grey.